Angelina Jolie (born Angelina Jolie Voight; June 4, 1975) is an American actress, film director, screenwriter, and author who is one of the most honored women in the American entertainment industry. Angelina has received an Academy Award, two Screen Actors Guild Awards, and three Golden Globe Awards. She was named Hollywood's highest-paid actress by Forbes in 2009, 2011, and 2013. Angelina Jolie goes on and on and on. The daughter of Jon Voight, himself an Oscar winner, and Marcheline Bertrand, Angelina is of German, Slovak, French Canadian, Dutch and perhaps Iroquois ancestry. Angelina grew up with her mother and took acting classes at the Lee Strasberg Theatre Institute. In conjunction with some personal twists and turns - at one point, Angelina supposedly wanted to become a funeral director - Jolie made her film debut with her father in "Lookin' to Get Out" (1982). That was more of a one-shot deal rather than the beginning of Jolie's active career, but it was a good introduction to the film business. She turned full-time to acting with the lead role in "Cyborg 2" (1992), which she followed up with supporting roles in independent films. Angelina's roles started getting better. After she won a Gold Globe for the role of Cornelia Wallace in the cable film "George Wallace" (1997), Jolie was a hot commodity. The explicit "Gia" (1998) remains a classic for fans of Jolie's intense acting style. Angelina Jolie stars in "Maleficent," a takeoff on "Sleeping Beauty." A long string of major roles followed, with a highlight being her Academy Award for Best Supporting Actress for "Girl, Interrupted" (1999). Things only got sunnier for Jolie when she starred in the blockbuster "Lara Croft: Tomb Raider" (2001) and its sequel, "Lara Croft Tomb Raider: The Cradle of Life" (2003), films based on the iconic video game character. While she regularly takes time off and either states or implies that she is retiring, Jolie continues to act. She voices Tigress in the Kung Fu Panda films, which have run from 2008 to 2016 (so far) and show no signs of stopping any time soon. Angelina in Rolling Stone, 2003. 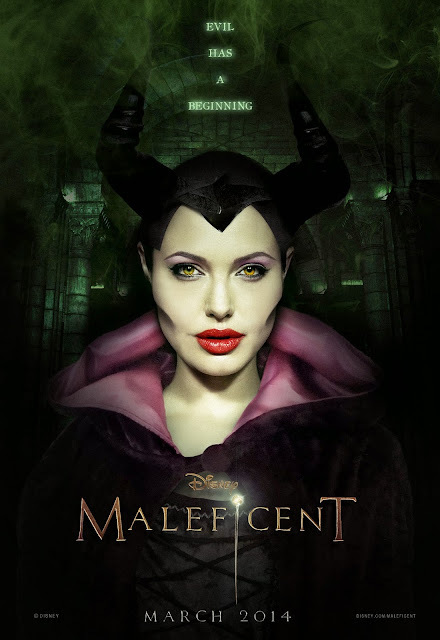 Angelina appeared as the title character in "Maleficent" (2014), which follows the wicked fairy from the 1959 Disney film "Sleeping Beauty" and was released on May 2014. It has become a signature role for Angelina, and a sequel, "Maleficent 2," has been announced. Jolie also has stated that she intends to get involved in directing, so you never know which direction the multi-talented Angelina Jolie will head in next. Jolie is as famous for her relationships as for her film roles. She had a turbulent marriage to actor Billy Bob Thornton, and currently is married to Brad Pitt. They have six children - most adopted. However, that story is not over yet. Knox and Vivienne (not adopted, twins, born in Nice, France in 2008). The couple is in the midst of a divorce, apparently due to murky issues between Pitt and Jolie regarding the children. Angelina made People Magazine's "50 Most Beautiful People in the World" in 2000. Angelina is an official citizen of Cambodia due to her humanitarian efforts there. Maxim magazine put Angelina as No. 7 on its "Hot 100 Women of 2005" list. She returned in 2006 at No. 4, and in 2007 at No. 12. Angelina is a private pilot. She holds Airplane, Single Engine and Land ratings. Reports indicate that she is not instrument-rated. Angelina has notorious issues with her father, Jon Voight, and dropped "Voight" as her last name in 2002. Angelina had made her screen debut with her father in 1982, but she disagreed with his politics and his observations and suggestions about her eccentric personal conduct. Angelina has won numerous awards. Among them are a Golden Globes in 1998 for "George Wallace," 1999 for "Gia," and 2000 for "Girl, Interrupted," and an Oscar in 2000 as Best Supporting Actress for "Girl, Interrupted." While often nominated, Angelina has not won any major acting awards since 2000. Angelina personally chose Lana Del Rey to perform classic Disney theme "Once Upon a Dream" for "Maleficent." Angelina is an honorary Dame of the British Empire, made so by Queen Elizabeth on June 13, 2014. Angelina Jolie and Brad Pitt married twice, first in California on August 14, 2014 and then on August 23, 2014 in France. Angelina had her ovaries removed in 2015 because cancer runs in her family. You're young, you're drunk, you're in bed, you have knives; s**t happens. It's alright. It's a part of life... I lost my mom. It's a natural thing for a child to lose a parent. I lost my mom too young, but it happened. And I'm happy she's out of pain, because I love her and she's my friend. I was actually quite a cool kid. I was not tough. I was certainly independent and bold. I was never teased. I never had any trouble from anybody... I was never satisfied. I had trouble sleeping. I didn't really fit. I always feel that I'm searching for something deeper, something more... You want to meet other people that challenge you with ideas or with power or with passion. I wanted to live very fully. I wanted to live many lives and explore many things. There's certainly a side of me that isn't completely... sane. Or completely 'even' all the time. We all have our dark sides. It was nice for me to play with other girls; I don't really have girlfriends in movies, if you've noticed. Well, I have a few girlfriends, I just... I stay at home a lot. I'm just not very social. I don't do a lot with them, and I'm very homebound. I'll talk to my family, I talk to Brad... But I don't know, I don't have a lot of friends I talk to. He is really the only person I talk to.